According to the International Facility Management Association, 85% of commercial roofs are replaced too soon due to bad information. Roof replacements are often the go-to solution when nagging roof leaks continue to disrupt business and rack up unexpected repair expenses but there might be a smarter alternative – restoration. A roof restoration can bring a roof back to watertight and warrantable condition. Plus, it can extend a roof’s service life by years. But before it can be determined whether a roof is a candidate for restoration, the roof’s condition must be accurately assessed. Simon’s unique approach, SR PreVision, employs a combination of technology, data and science to objectively inspect and evaluate a roof. 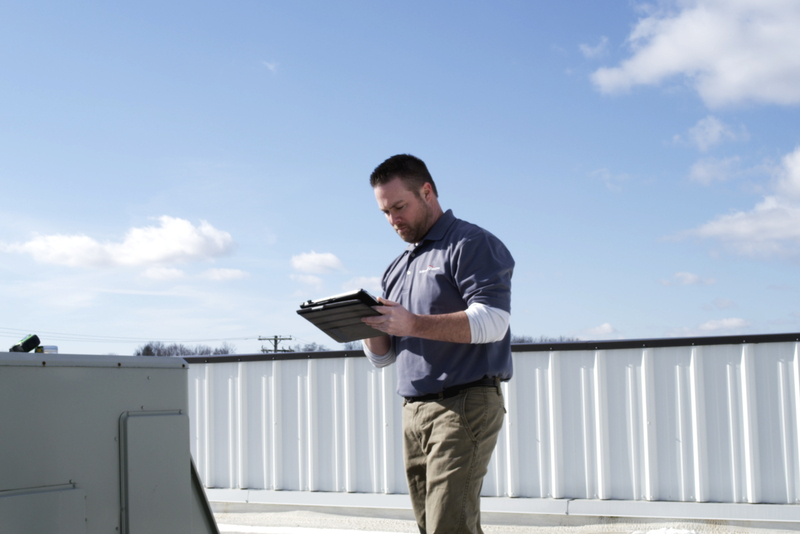 SR PreVision technicians walk the entire roof with a tablet equipped with proprietary software that dictates the data collection criteria on a variety of factors (roof type, surface, etc.). The information and photos collected are sent in real-time back to a database that’s reviewed by a team of SR PreVision specialists at Corporate HQ. The only way to effectively determine the presence of wet insulation is through an infrared scan. Roofs with a significant amount of wet insulation are not a candidate for restoration. A core sample of the roof’s membrane is sent to our in-house laboratory where our team of scientists perform a variety of structural and chemical tests for elongation, tensile strength and more. The data collected from the roof and the core sample lab testing results are analyzed and then combined in a condition report to provide facility managers with an actionable plan to extend the roof’s useful life and lower its life cycle costs.